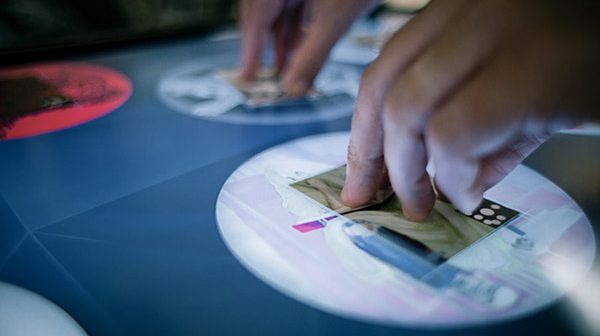 Click on the PLAY button above to watch the sizzle reel. 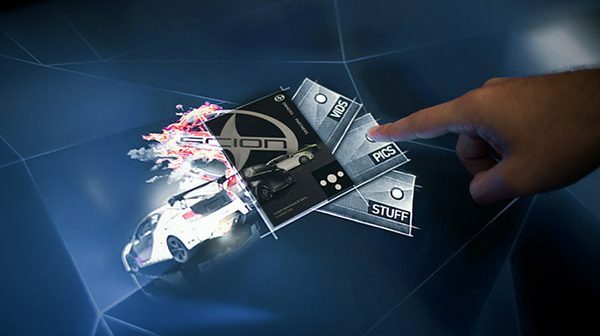 Named the Favourite Website Award (FWA): Site of the Day, December 20, 2011. 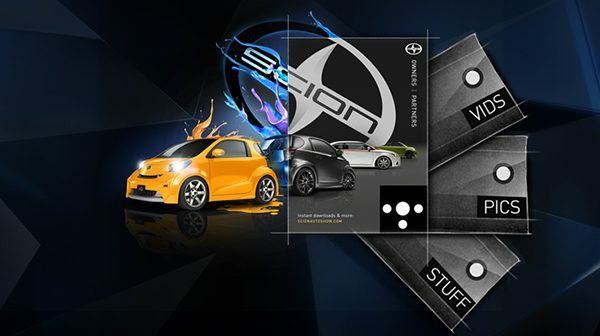 Scion fans are passionate about their lifestyle—car culture, music, fashion. 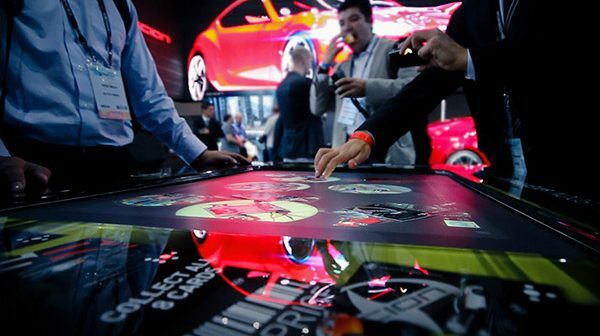 We created something that harnessed all of their passions in one super-engaging experience. 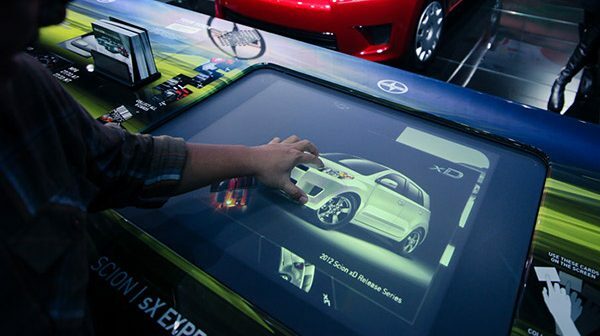 A highly-immersive touch experience using Microsoft Surface® screens, gigantic video walls, and a series of Scion-commissioned collectable art cards. 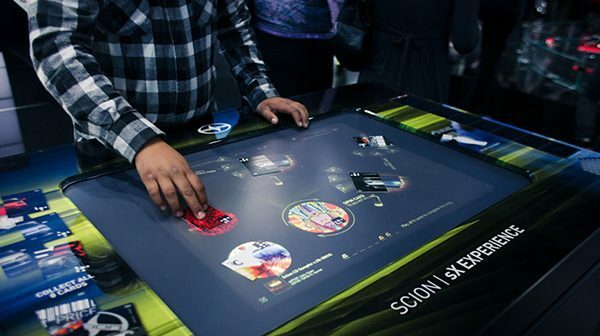 Each of the eight cards has two distinct sides designed to unlock interactive content and experiences from the table-sized screen in unforgettable ways. 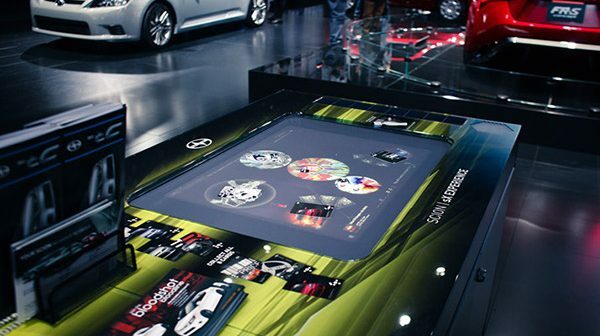 The cards’ product side offers a compelling multi-touch interactive content experience focused on the Scion line up, the culture and the brand. 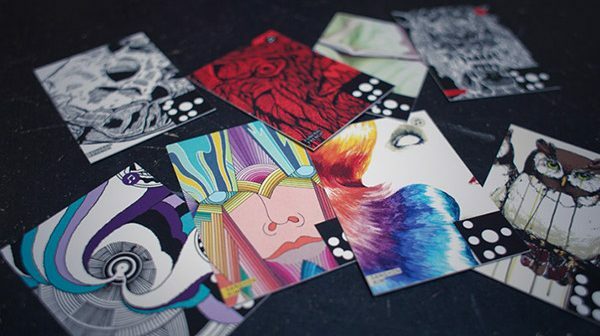 The art side offers a chance for users to become DJs, as each card provides a different track to a song—drum beat, synths, guitars, etc.—letting the users turn the cards to control volume while spinning a custom music mix for themselves and their friends to enjoy. 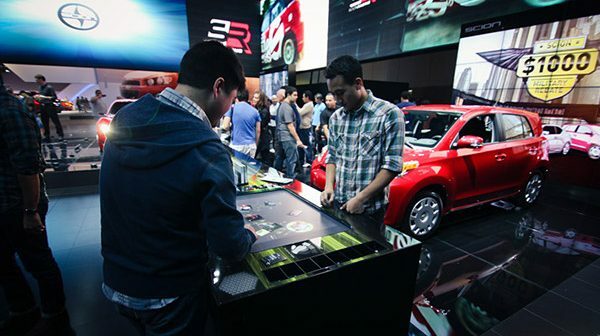 Beyond custom music, as the user interacts with the cards and content, the cards also trigger coordinated content that plays on the massive video walls shadowing each car. 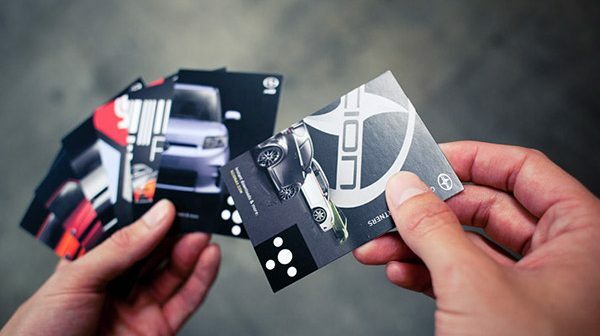 These exclusive collectable cards allowed auto show guests to connect with the Scion brand after the show through exclusive downloadable music tracks from the web.